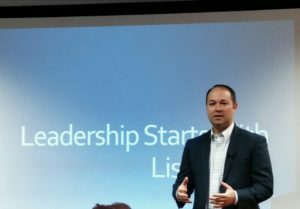 I had the pleasure of hearing serial entrepreneur Marlin Stutzman speak at First Fridays Fort Wayne. He’s Principal Partner, The Stutzman Group, LLC. You may also recognize his name as Former Congressman Indiana 03. Afterward, we talked about the one piece of advice he would give to individuals starting their businesses. And because he is generous to share his knowledge with business builders, here’s a bonus tip as well. 1. Build the right team. This applies to paid and non-paid individuals. You might think this doesn’t apply to you if you are building your company yourself. Think again. Seek non-paid experts. “Individuals who are not being paid tend be more honest with their input,” said Stutzman. 2. Grow your business without giving away leverage. When it comes to people investing in your company, take care not to give too much of your business away. You want to have the ability to make the necessary decisions for your business success. At The NIIC, we generally advise our clients to bootstrap as much as they can. Seek investors when it’s time to grow and scale. Although, we also acknowledge every situation is different. You can learn more about The Stutzman Group by visiting the website. If you’d like help with your business, contact us at The NIIC or WEOC. We come alongside you in starting, building and innovating your business.